Hoping to find a nanny job in NYC? 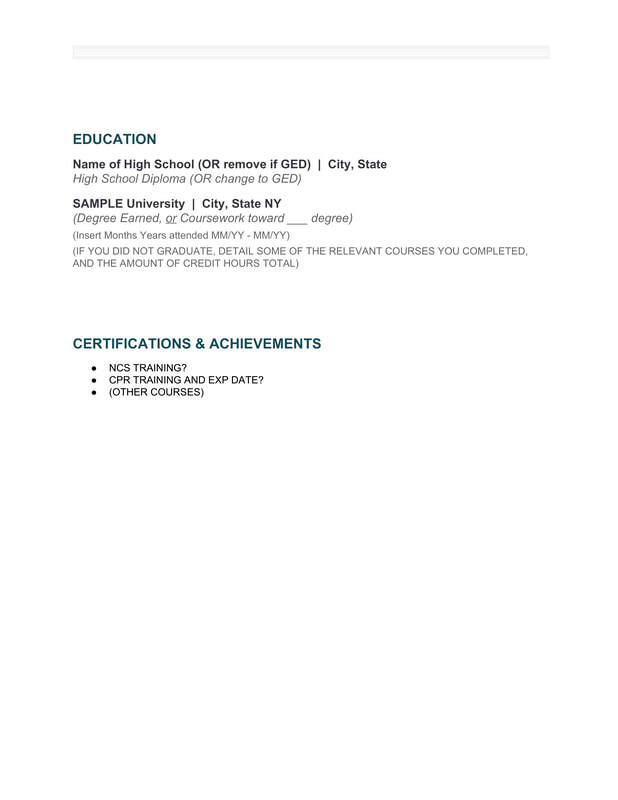 Before you go on any interviews, a professional nanny resume is key to getting your foot in the door, especially the door of a competitive nanny agency. 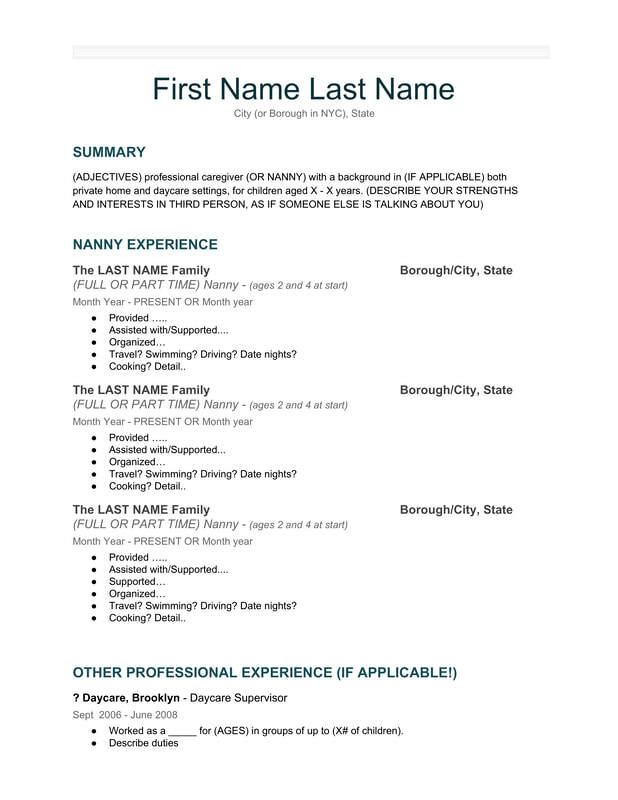 Here is our sample nanny resume template for you to download and modify for yourself to use with our nanny agency, if you're in need! We recommend downloading this on a desktop computer only (sorry, cell phones! ).